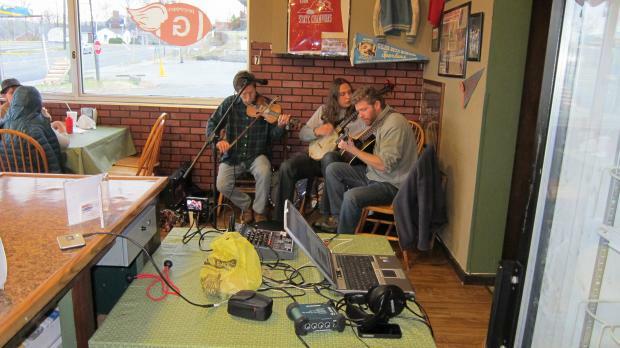 The Black Twig Pickers performing on the WNRV New River Valley Jamboree show at the Old Virginia Smokehouse on 1/7/12. This show was broadcast live on WNRV, you can download entire show podcast. Nathan Bowles (banjo), Mike Gangloff (fiddle), & Isak Howell (guitar).